The theme for January 2015 is "Fresh Start." When I saw the sneak peeks, I wasn't exactly excited for anything in particular. I was planning on cancelling after this bag, but I really loved February last year, so I'm going to give them just a little longer. As you can see, the bag is blue. The zipper and lining are orange. There's a surprise with this bag though! The other side of the bag is WHITE! Personally, I would have enjoyed this bag a lot more if it was all white. I really don't like how one side is white and the other is blue. I probably won't use this bag now. I will probably just end up donating it. When I first saw this in the sneak peeks, I really wanted the lighter shade over the darker one. But after swatching it, the shade really isn't noticeable at all, and I'm really pale. I'm sure I'll use it, but I have better shadows. 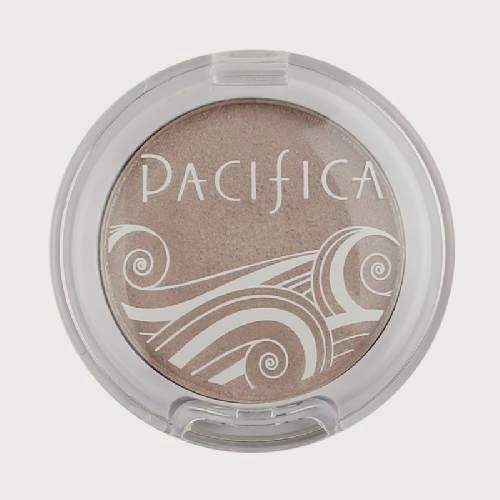 All Ipsy members got a pacifica shadow this month. It's cute because it's pink - but other than that. It's just your typical shadow brush. It works just as well as others that I have. Nothing amazing here. Argh. This liner has NO pay off at all. I swatched it on my hand first. When I made the first swipe, no colour came off at all. I tried again pressing harder and finally I got some colour. But, I had to press REALLY hard to see anything. This is not a good liner. I also don't like the colour. Into the garbage it went, because it was just awful. 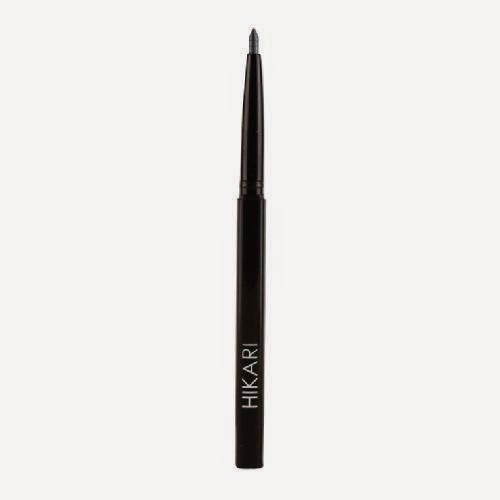 I wish Ipsy would stop sending Be a Bombshell items - Hikari is also owned/made by Be a Bombshell, and I've hated all of their products so far. Most people online seem to hate the quality too. I was SO happy to see this one in my glam room/bag. From the sneak peek it was in, this was the I really wanted. 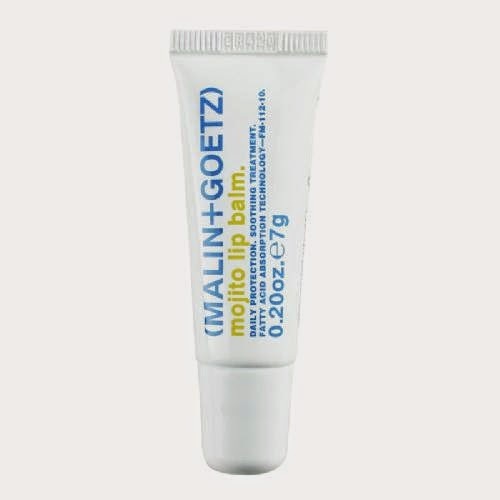 I've heard nothing but great things about this lip balm, and I have to say I understand why. It's great. Watching it come out, I assumed it would be really sticky, but it's not. I've used much worse, stickier glosses. This one hydrates, and smooths, it's just great. I wouldn't say it smells like mojitos though, but no complaints here! I'll be honest and say I haven't used this on my nails yet, but as a swatch it is very runny and not full of colour. I've seen others say online that they have had to use 3 coats to get the colour they like. This will probably be used on my toes only, as I don't like blue nail polish very much. Especially on my fingers. A little too daring for me. *EDITED 01/30/2015 - so I actually put this on my nails, and its a lot nicer in person. Not as bold as I thought it would be - it's a blue, but it seems to have a purpley undertone. I wore this with a Nanacoco polish I received in one of my Beauty Box 5 boxes, and I am so so impressed at how much this polish has stood up to everyday "wear n' tear".. I applied it about a week ago, and the Nanacoco has chipped in so many places, but the Probelle, well it's still going good! I'm so impressed! And, not just that! 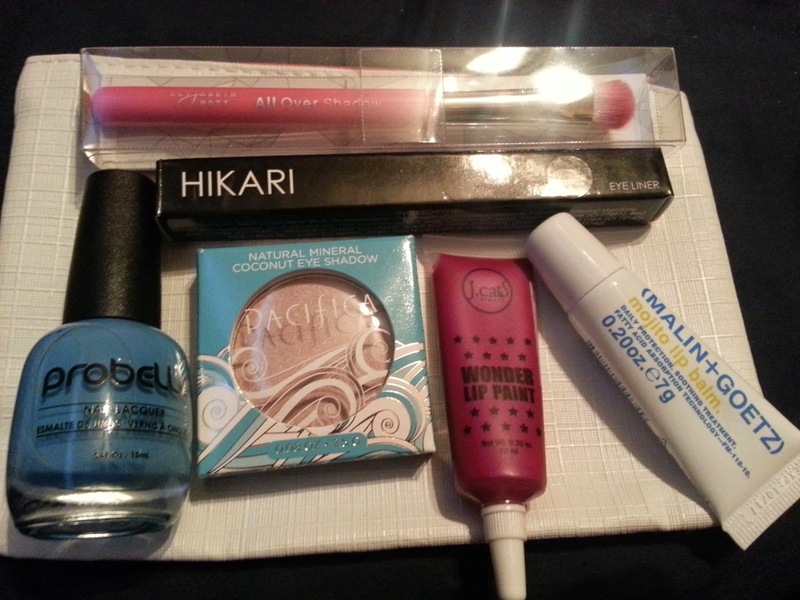 Probelle was having a Facebook contest and they were giving away 2 polishes, and 2 treatments. I entered just for fun - and I WON! :) I will do a separate review once they get here, and I get to try out the new colours! Yay! I actually redeemed some points, so that is why I have an extra item in my bag. I got this in a past bag in the colour Red Potion. It is a nice colour, but it is very daring. Also, I'm as white as paper, so it stands out A LOT. I've worn it out once and I was a little self concious about it. When I saw that Mad Splatter was up for some Ipsy points, I redeemed some because I really liked this colour more than Red Potion from what I saw online. After swatching it, this colour works better on my skin tone. It can be toned down, and isn't so dark. 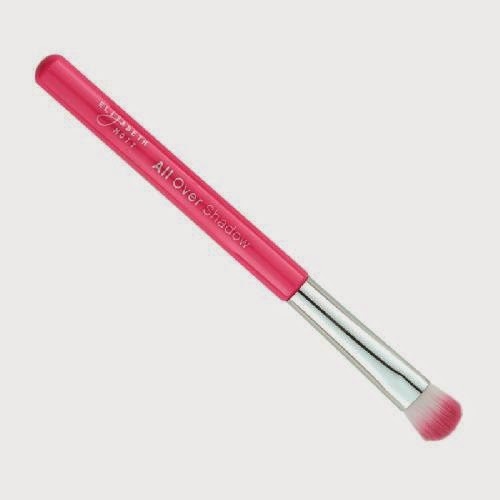 It also has a blue undertone which is great because it makes your teeth look whiter ;) I like the consistency of these, although you should use a lip brush to apply it. I did find that it wasn't as minty as the Red Potion, but I like both.